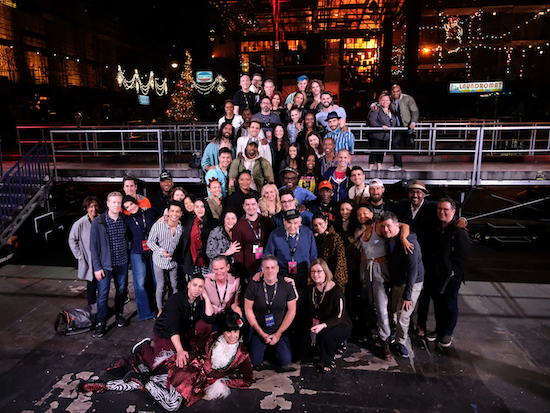 The original Broadway cast of RENT joined the Fox production for the final number of the (planned) live show. RENT was initially intended to be performed live on Sunday, January 27, but an ankle injury sustained by lead Brennin Hunt (who plays musician Roger) near the end of the show forced the producers to use footage from the dress rehearsal. However, the final act was performed live…and Taye Diggs, Wilson Jermaine Heredia, Jesse L. Martin, Idina Menzel, Adam Pascal, Anthony Rapp, Daphne Rubin-Vega, Fredi Walker, and the ensemble who starred in the ’96 production joined their Fox counterparts. Check out the emotional performance!